For over a century, the US Forest Service has been fighting wildfires and other natural disasters throughout the US and American territories. During these times of action, the US Forest Service’s men and women congregate from all across the nation to serve together in the field battling fires, hurricanes, and tornadoes for up to several weeks at a time. In order to prepare for these unfortunate events, fire fighters were usually given map packets with up to 20 pages of 11x17in paper maps, bundled together. These map packets were printed and assembled the night before and were distributed to several hundred fire fighters the next morning. Avenza Maps from Avenza Systems, Inc., a leading developer of cartographic software, lets map publishers and individual cartographers upload, distribute digital spatially aware maps. On a GPS enabled device, Avenza Maps provides the best of all worlds – the ability to read map details clearly, find your location and even add your own placemarks and data points. 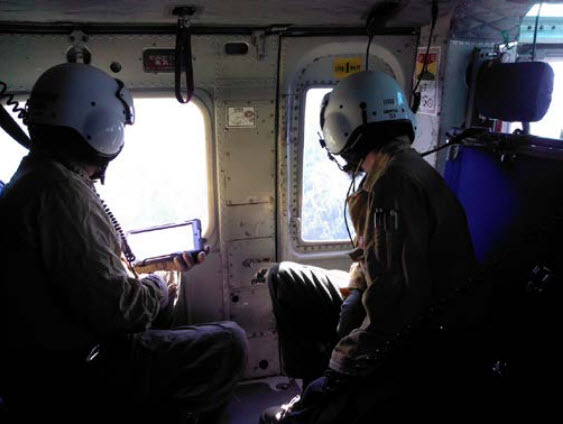 With Avenza Maps app, Brenzel and his team are able to provide situational awareness to all those involved in fighting natural disasters on US soil. 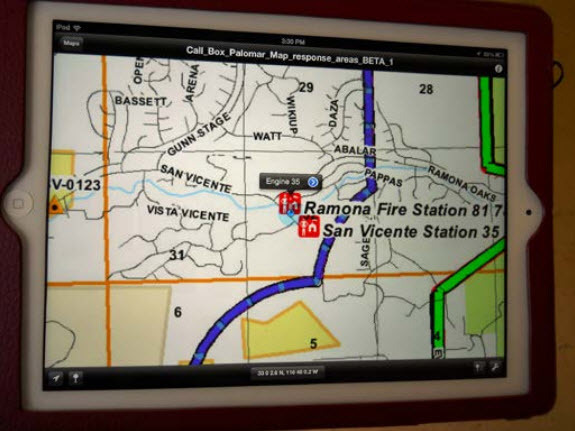 By using Avenza Maps instead of paper map packets, Brenzel and his team are able to eliminate time delays as well as reduce the amount of paper waste. 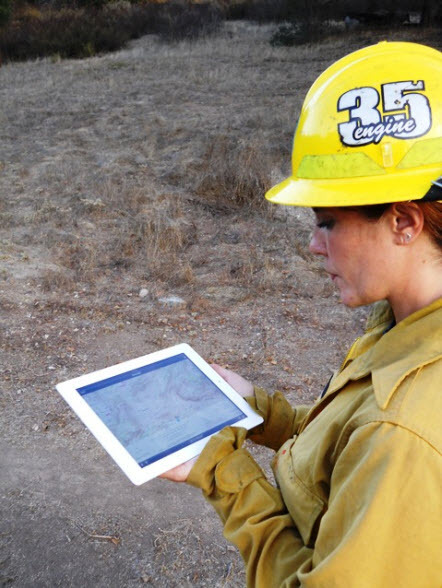 The app allows downloading/updating maps through the Avenza Map Store 24-hours a day as well as downloading custom maps with QR codes - another benefit to using digital maps. 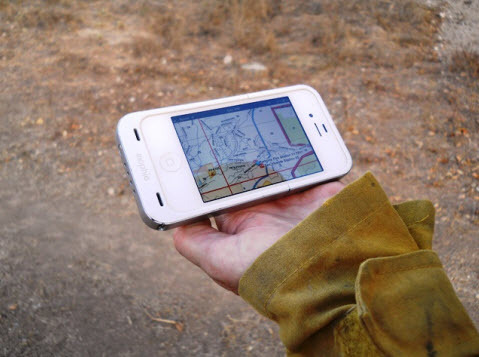 Through this technology, the US Forest Service men and women can easily prepare well in advance, quickly and conveniently before facing any natural disaster. 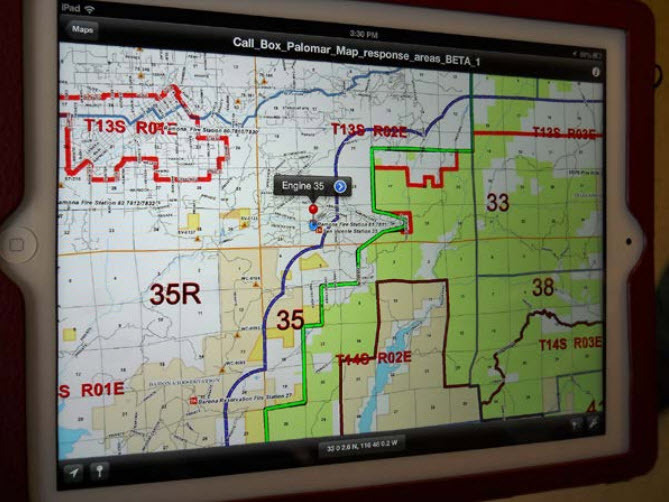 Additionally, the United States Forest Service is using the application to build maps of fuel reduction projects and community defense zones to help define the boundaries and aid in the work.